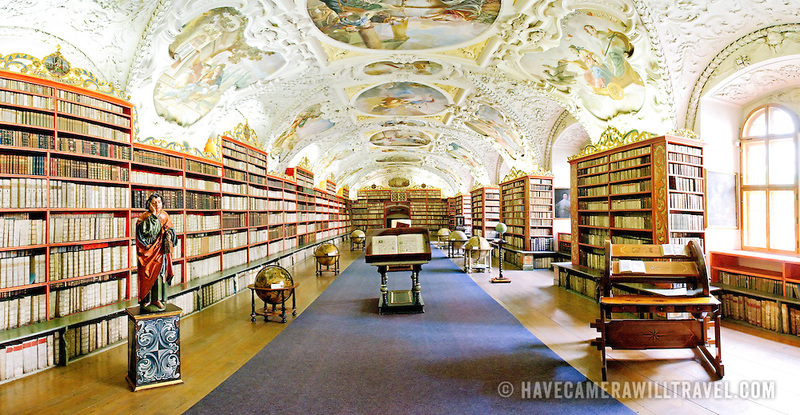 Interior of one of the main library rooms of the Strahov Library. Statue at left is of St. John the Evangelist. Book holder at right was specially designed for this library and keeps the books facing the reader as the wheel is turned.